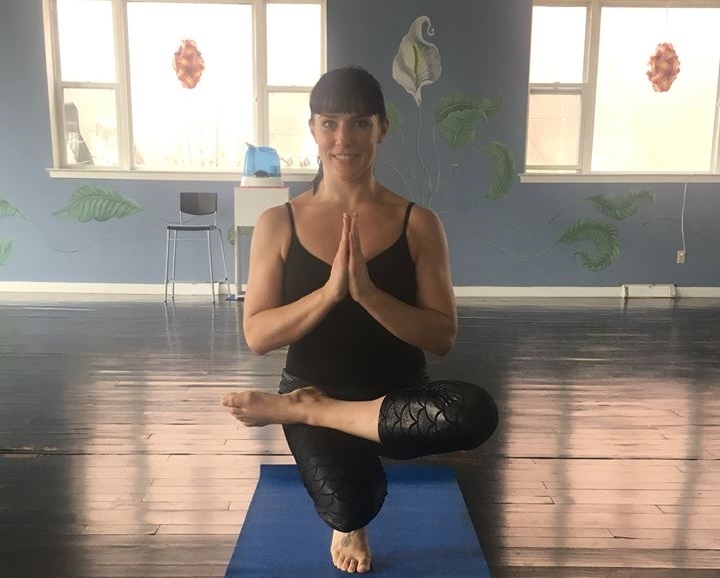 Please join us in welcoming Colleen to Bikram Yoga Chadds Ford! She teaches her first class on Monday 5/9 at 9:30am. She’ll have a spot the regular schedule starting this summer. Colleen has been a lover of movement from the very beginning. The love affair began at the age of three in her first dance class and grew from there. After spending her youth and early adulthood studying dance, Colleen discovered yoga in her mid twenties and her curiosity expanded. After a few years of exploring different types of yoga, she found Bikram yoga and fell in love all over again! Yoga brought her a deeper connection with herself and healed her body, mind and spirit from the inside-out. Through this journey, Colleen realized the infinite potential that yoga has and has taken her journey further to gain an even deeper understanding of self exploration and healing through movement. Colleen received her teaching certification this past fall and is excited to share the yoga journey with all those in the hot room. She enjoys teaching and taking classes that focus on the power of the yoga process. It’s all about who you are today and celebrating just that! ← Community Day Saturday 5/7!